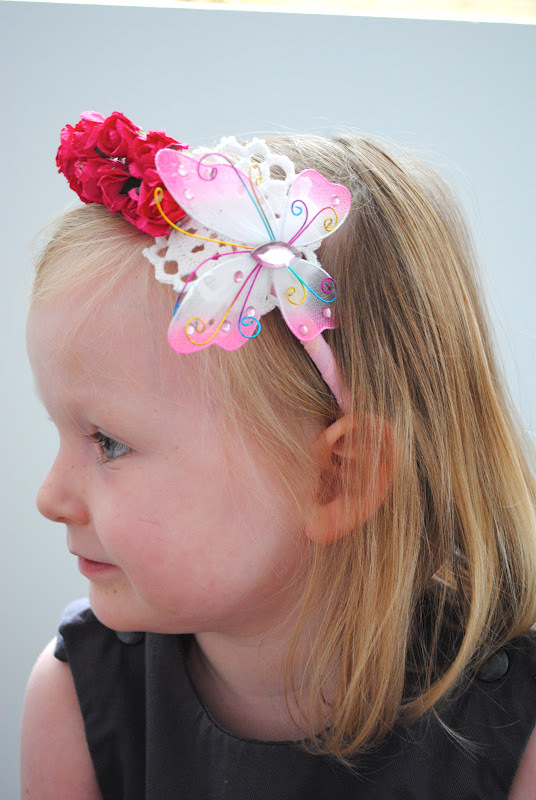 Bubby Makes Three: Make: Girl's Butterfly Headband! 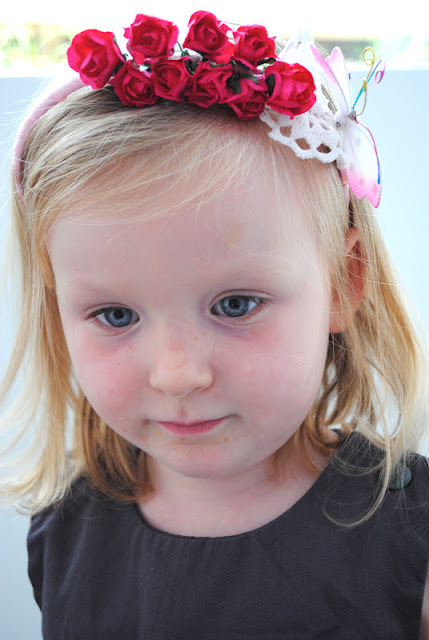 We made girlie headbands! So super-duper easy-peasy that YOU can make some too! We made one for Fern and one for a friend. Want to know how to make one too? Embellishments: flowers, butterflies, beads, birdies, ribbons, crochet bits -- anything goes! 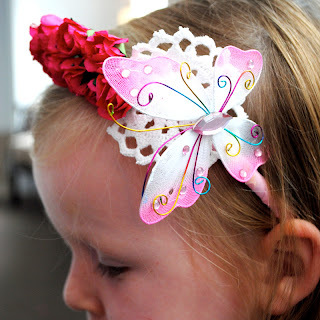 The first thing we did was tear a thin strip of fabric and wrap it tightly around the whole headband, fastening at each end with the hot-glue gun. As mentioned previously, we made two -- one for Fern and one for a friend at preschool who will be getting a little surprise in her cubicle this week! 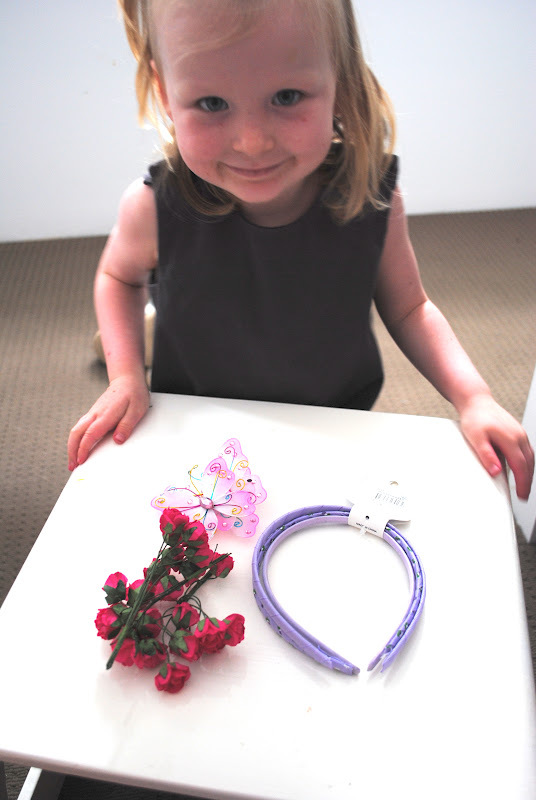 We hope she likes it! You are so creative!! 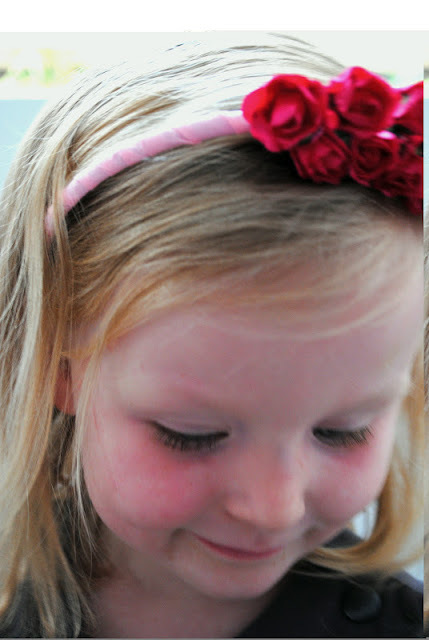 My daughter loves headbands!